I’ll say this much for Shadows: Awakening. You get a lot of value for your purchase. 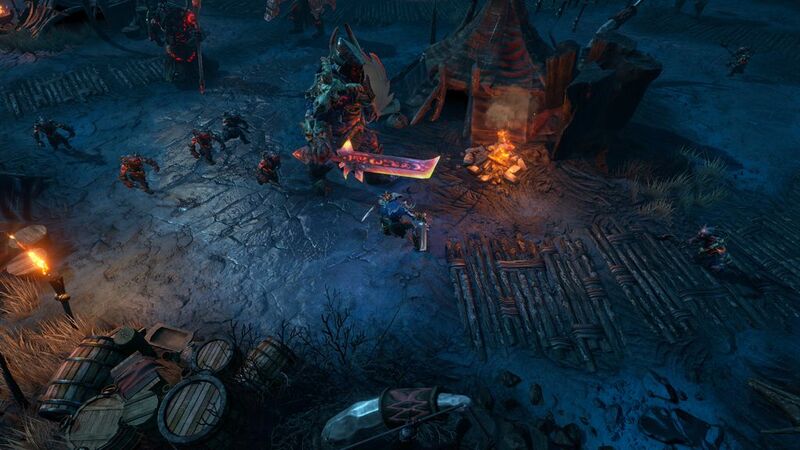 This is a long game, with significant customization and an interesting central hook, which is replayable in the same way a Diablo or Torchlight is. 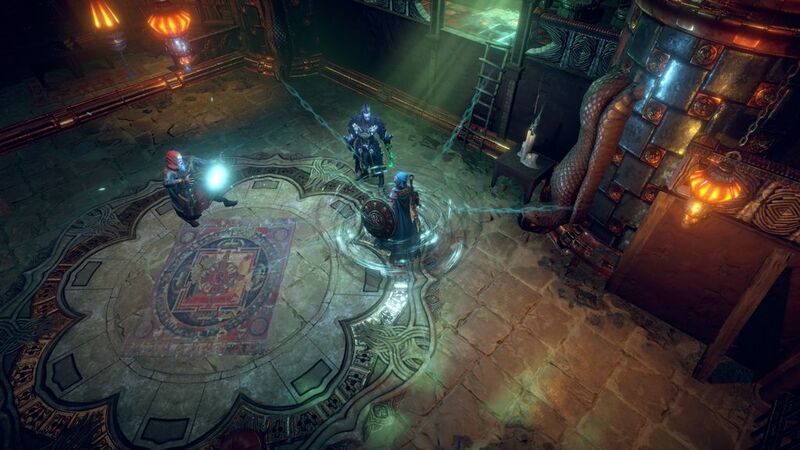 It’s got some story, just enough to guide you and add some flavor to the proceedings, but the vast majority of your time in-game is spent on classic-style isometric dungeon-delving. The only real problem is that it’s too long. 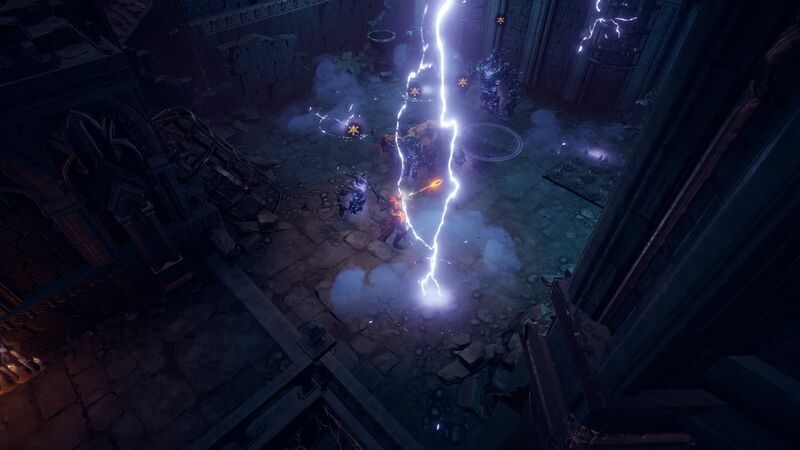 There comes a point where it stops doling out real changes to the gameplay, your characters’ power evens out, and it starts feeling like more of a slog. That point is about twelve to fifteen hours in, and it might be even further, depending on your tolerance for smash-and-grab dungeon crawlers. 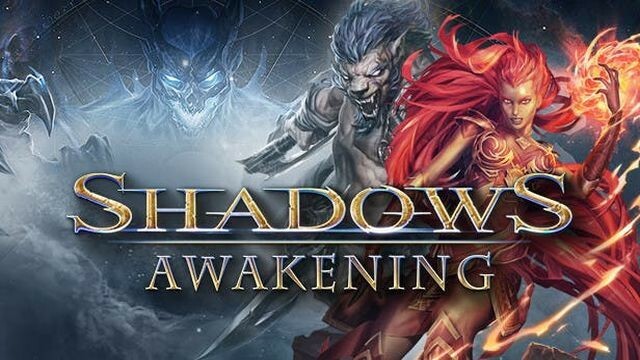 Shadows: Awakening is nominally an entry in the Heretic Kingdoms franchise, but you could be forgiven for not knowing that. It takes off from the events of those games, such as that one time when some dude went and killed God, but it’s very much written as a stand-alone game. You play as the Devourer, a demon stuck in the mortal world by a particularly irritating summoner. The summoner in question needs an ally, to help him evade pursuit from a faction of anti-magic zealots, and brought the Devourer across as a sort of implicit blackmail; now that the Devourer is loose and unbound, the same zealots will be just as interested in destroying him as the summoner. The Devourer doesn’t inhabit the same level of reality as everyone else, though. To act on the mortal world, he needs pawns, which he gets by devouring the souls of fallen warriors, beginning with one of three heroes entombed in the catacombs where he was initially summoned. 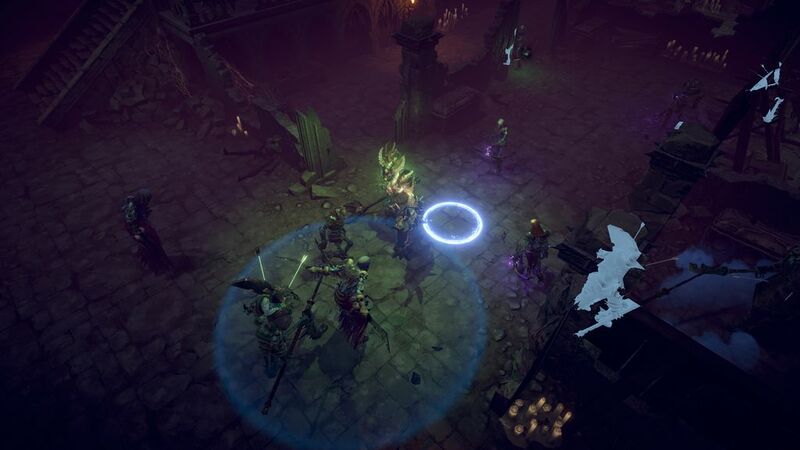 You can eventually “recruit” multiple pawns, which fall into the broad roles of warriors, rangers, and mages, and switch between them on the fly, with the Devourer as the sole permanent member of your team. The three pawns take care of business in the mortal world, breaking things and killing people, while the Devourer can manipulate things in his own shadow world. 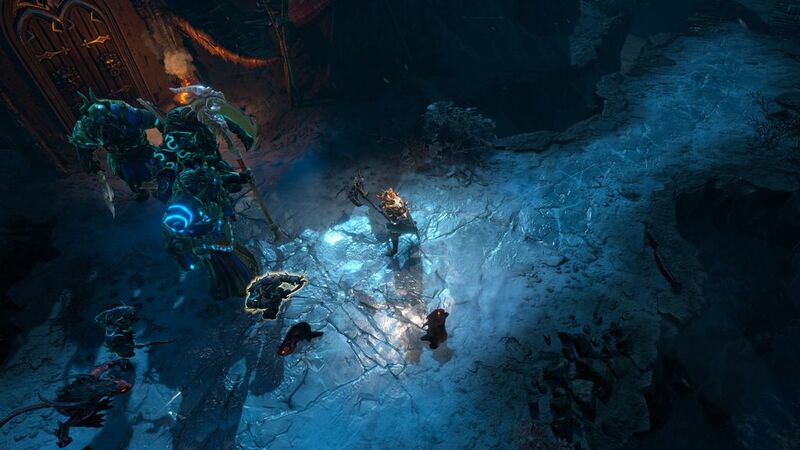 Paths may be open in the shadows but not in reality, or puzzle solutions may be hinted at if you swap to the Devourer. 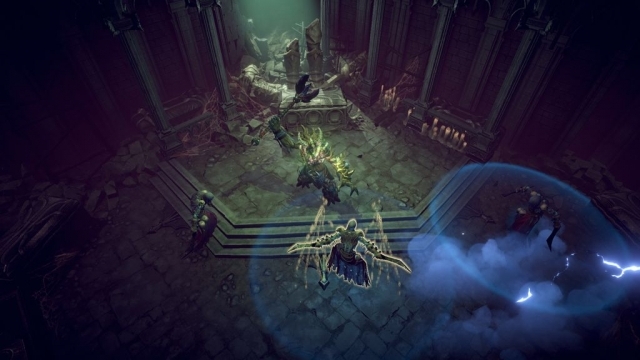 In action, this enables you to pull off combination moves in the spirit of something like Divinity: Original Sin. You can freeze an enemy with the Devourer, then swap to a pawn to finish it; one early pawn can throw flasks of oil at enemies, which makes them take more damage from fire attacks; if you pick the mage as your starting pawn, she eventually learns how to conjure a sand golem as a meat shield, and the golem doesn’t go away when you swap to a different character. Many enemies have abilities or allies that require you to deal with them as the Devourer first, weakening them before your pawns come back in to score a kill. There are a lot of interesting options here, and I found myself switching constantly between characters once I got used to the system. Each pawn has its own health and mana pools, and what’s cool is that surprisingly few of them are standard fantasy archetypes. Your first three pawns are two humans and a half-naked elf chick, as is considered necessary in the genre, but the rest of the cast features an angry goblin, a werewolf, a giant skeleton, a wood elemental, and a big, spellcasting wasp. 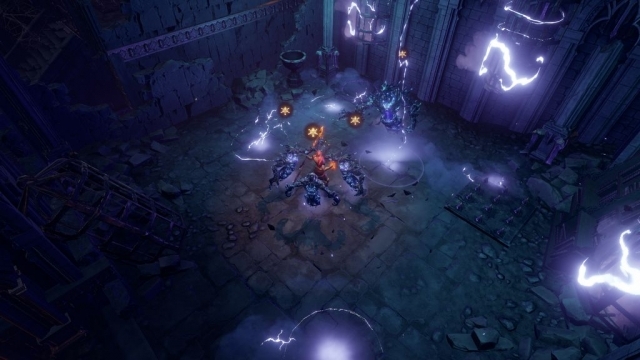 Beyond that, Shadows: Awakening feels like a slight update to the dungeon-crawler formula from a few years ago, in the time before Diablo III came out and everyone decided to get the hell out of its way. You smash pots, beat coins out of enemies, evade clever traps, solve out-of-place puzzles, kill everything that moves, and pawn all the loot you don’t need to the closest vendor. The controls work decently on the PS4 version, the story is surprisingly decent for what it is, and the whole thing’s got a comfort-food sort of feel to it that suggests the game is exactly what its designers wanted it to be. My only real problem with it, which is significant, is that it spreads itself thin by not even the halfway point. 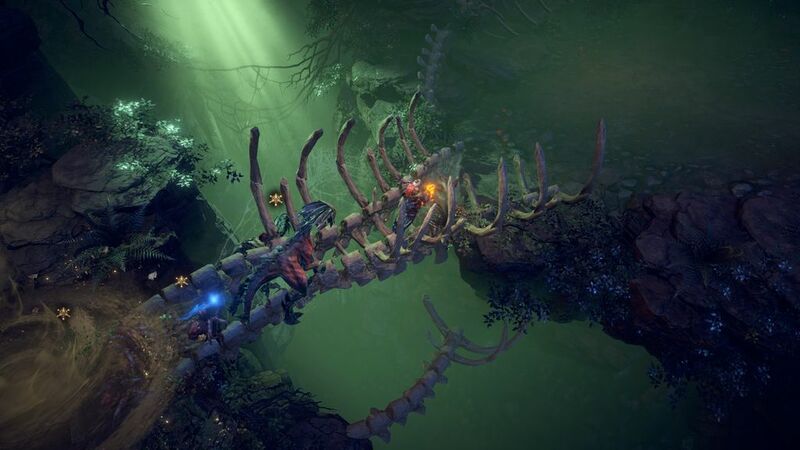 It’s not hard to get to a point where enemies are just a series of bleeding obstacles between you and the next quest marker, at least on Normal difficulty, and they level with you, so they’re always going to be roughly as much of a pain as they are right at that moment. Shadows: Awakening could use a longer power curve, or to dole out some more significant fights or abilities, to keep things from feeling stale. It’s the best possible version of what it is, but after a while, a lot of the shine wore off and it started feeling like a particularly violent part-time job. Still, if you’re looking for a new dungeon crawler, this is a pretty good one, and I did enjoy the first twelve hours or so. This review is based on a digital copy of Shadows: Awakening for the PlayStation 4 provided by Kalypso Media.